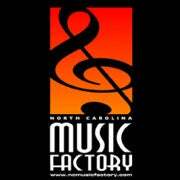 The NC Music Factory Campus encompasses 30 acres of land with 270,000 sq. feet of existing buildings located in Uptown Charlotte, North Carolina. The site is located in the historic Fourth Ward area immediately adjacent to the Charlotte central business district, one of the most dynamic urban centers in the Southeast. The historic buildings at NC Music Factory are being restored to their original historic character and many of the tenant spaces include beautiful brick walls and hardwood floors. The development plan calls for the establishment of North Carolina's first all encompassing multi-use arts and entertainment district. When complete the development will include many restaurants, nightclubs, galleries and other arts and entertainment users as well as affordable residential. Many of the establishments will have individual outdoor patios and courtyards.